The direct predecessor of the Baron was the Beechcraft 95 Travel Air, which incorporated the fuselage of the Bonanza and the tail control surfaces of the T-34 Mentor military trainer. To create the new airplane, the Travel Air’s tail was replaced with that of the Beechcraft Debonair, the engine cowlings were streamlined, six-cylinder engines were added, and the aircraft’s name was changed. In 1960, the Piper Aztec was introduced, utilizing two, 250 hp Lycoming O-540 engines; Cessna also had improved their 310 with two Continental IO-470 D, producing 260 hp. Meanwhile, Beechcraft’s Bonanza had been improved with a Continental IO-470-N, but the answer to competition was to make a true Twin Bonanza. The first model, the 55, was powered by two, six-cylinder IO-470-L engines, producing 260 hp at 2,625rpm; it was introduced in 1961. It included the fully swept vertical stabilizer of the Debonair, while still retaining the four to four+five place seating of the Travel Air. The aircraft was derived from the Best Off Skyranger and designed to comply with Canadian Advanced Ultralight criteria and the US light-sport aircraft rules. It features a strut-braced high-wing, a two-seats-in-side-by-side configuration enclosed cockpit with optional doors for access, fixed tricycle landing gear or optionally conventional landing gear and a single engine in tractor configuration. The aircraft is made from bolted-together aluminum tubing, with its flying surfaces covered in Dacron sailcloth. Its 9.6 m (31.5 ft) span wing has an area of 13.25 m2 (142.6 sq ft) and mounts flaps. Standard engines available are the 64 hp (48 kW) Rotax 582 two-stroke, the 80 hp (60 kW) Rotax 912UL and the 100 hp (75 kW) Rotax 912ULS four-stroke powerplants. 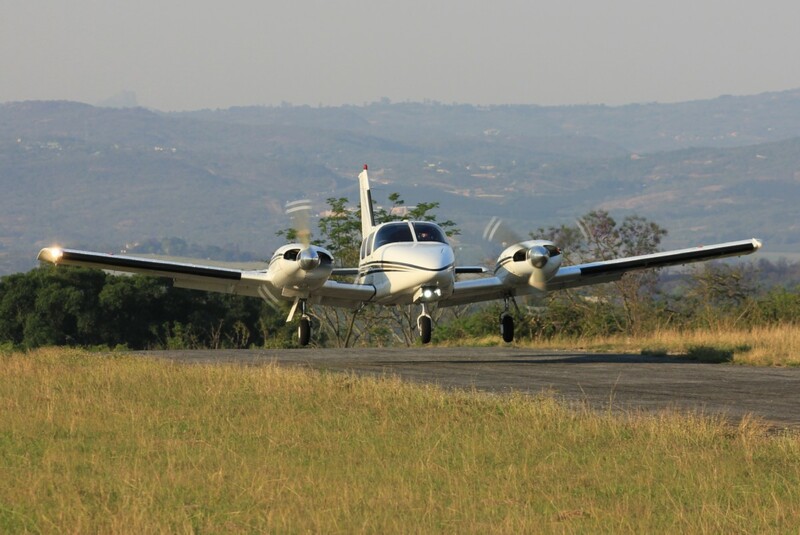 Responding to complaints about the aircraft’s handling qualities, Piper introduced the PA-34-200T Seneca II. The aircraft was certified on 18 July 1974 and introduced as a 1975 model. The new model incorporated changes to the aircraft’s control surfaces, including enlarged and balanced ailerons, the addition of a rudder anti-servo tab, and a stabilator bobweight. The “T” in the new model designation reflected a change to turbocharged, six cylinder Continental TSIO-360E or EB engines for improved performance, particularly at higher altitudes. The Seneca II retained the counter-rotating engine arrangement of the earlier Seneca I. The Seneca II also introduced optional “club seating” whereby the two center-row seats face rearwards and the two back seats face forward allowing more legroom in the passenger cabin. A total of 2,588 Seneca IIs were built. 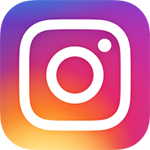 Gross weights are 4,570 lb (2,070 kg) for takeoff and 4,342 lb (1,969 kg) for landing, with all weight in excess of 4,000 lb (1,800 kg) required to be fuel. The Piper PA-28 Cherokee is a family of light aircraft built by Piper Aircraft and designed for flight training, air taxi, and personal use. The PA-28 family of aircraft are all-metal, unpressurized, single-engine, piston-powered airplanes with low-mounted wings and tricycle landing gear. They have a single door on the copilot side, which is entered by stepping on the wing. 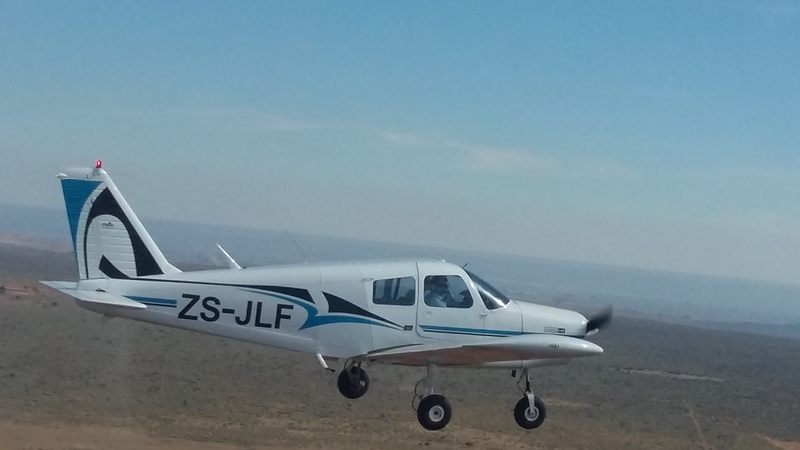 Eagle Flight Academy is an approved South African CAA Flight Training school (ATO CAA 0123) which provides advanced training for a multitude of disciplines and caters for students from across the globe.